If you are using apple cider vinegar topically to treat an external issue such as acne, ring worm or a fungus, the acetic acid in apple cider vinegar can cause damage to the skin, especially if you have sensitive skin, open sores, cuts or burns. Always mix the vinegar with water when applying topically. If you apply apple cider vinegar to your skin and you feel a burning sensation, try diluting it more. If it still burns, it is best to stop using it. If the acid in the vinegar burns your skin or works its way into an already existing wound, it can cause pain and scarring. Apple cider vinegar has been known to help lower glucose levels, but always check with your doctor about using apple cider vinegar for diabetes because the amount of chromium found in vinegar can have negative effects on your insulin levels. Because apple cider vinegar can cause changes in glucose and insulin levels, talk with your medical professional to ensure that it will not cause unwanted reactions when combined with other medicines you are taking for diabetes. Ensure that it is okay to combine apple cider vinegar with other medicines you are taking. Using apple cider vinegar over a long period of time may lower potassium levels, which can increase the risks involved with taking cardiac glycoside drugs, diuretics or laxatives. 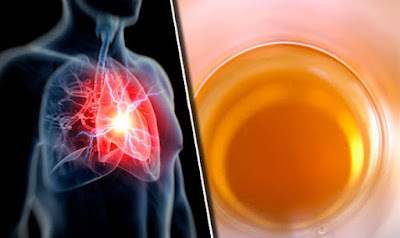 Apple cider vinegar has also been known to help with blood pressure; if you are considering using apple cider vinegar for lowering blood pressure, check with your doctor to be sure that it can be combined with other blood pressure or heart medications that you are taking. It is important to be aware of the kind of apple cider vinegar you are taking. Many commercial apple cider vinegars have been distilled, pasteurized and processed to a point where many of the healthy benefits are eliminated or greatly reduced. In order to receive adequate health benefits from the vinegar, use organic apple cider vinegar that is cold pressed, is not pasteurized and in which no chemicals or preservatives have been used. Apple cider vinegar tablets are also sold in stores, but supplements such as these are not monitored by the Federal Drug Administration and are not checked for quality or safeness.